Use in Project String: Defines if items from this dropdown will appear in the project name if the users enable the checkbox “Create Project Name from Metadata” upon project creation. 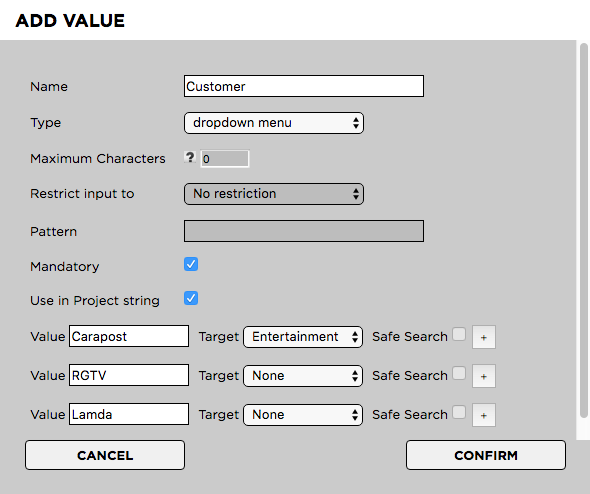 Now you can type the drodown menu values into the “Value” field. To add additional dropdown values click on the “+” button on the right of the value field.